The Hawa Mahal or the ‘Palace of Breeze’ is an architectural wonder built in the old city of Jaipur by Maharaja Sawai Pratap Singh in 1799. 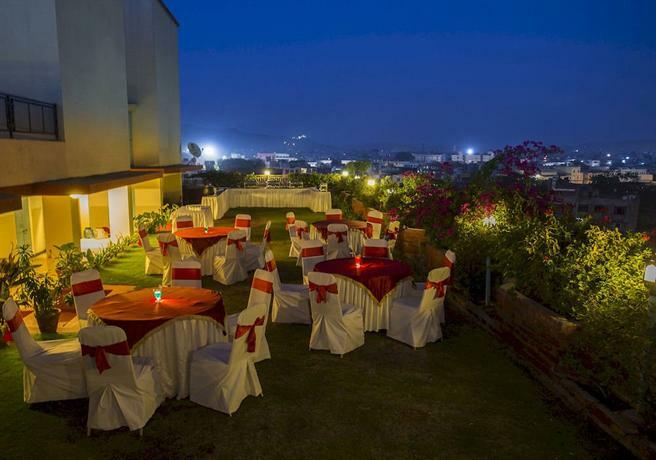 Made out of pink and red sandstone, it offers a breathtaking view of the city from its terrace. Located in close proximity to the City Palace, the Hawa Mahal is one of the most-visited tourist spots of Jaipur. The 953 windows of Hawa Mahal ensured that it was always cool and breezy even during the summer and this is probably what gave the building its name. Situated at the heart of the old city, the Hawa Mahal was originally built with the purpose of enabling the women of the royal household to watch the processions, festivals, and other goings-on of the city. Since the Purdah , or Veil system, followed by the Rajputs did not allow the women of the royal family to step out of their house, the building was constructed to allow the royal women to get a glimpse of the outside world without showing themselves to the public. Maharaja Pratap Singh hired the services of the famous architect, Lal Chand Ustad, who is also credited with designing many other marvelous palaces in Jaipur. The outer structure of the palace resembles the shape of a tiara or crown which adorns the head of Lord Krishna. The magnificent building is a beautifully honeycombed structure in the shape of an arched pyramid with 953 screened windows. The lattice work of the windows allows for many small holes which enabled the women to view the outside world without getting noticed. Renovation works has been recommenced in the Hawa Mahal building as of late since 2006- after nearly 50 years. 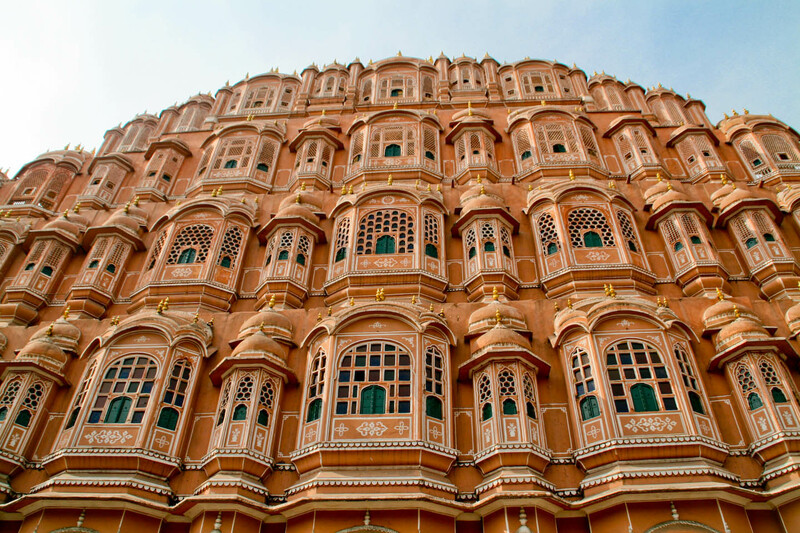 Travelers to Jaipur marvel at the beautiful craftsmanship of the architecture of the Hawa Mahal. Surprisingly enough, one has to enter the palace from the rear side of the building since the façade does not have any gates at all. 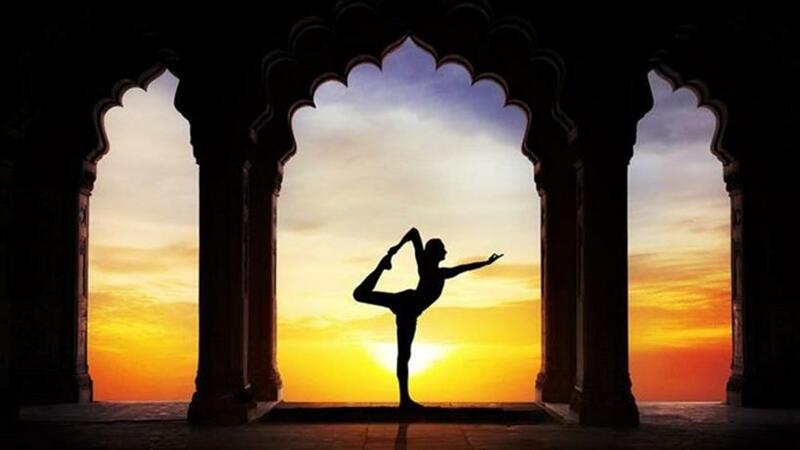 The five stories, pyramidal structure of the palace rises up to a height of 50 feet. The façade of the building consists of a honeycombed wall repleted with tiny portholes. Each of these portholes consists of small windows intricately carved with grills made of sandstones, domes, and finials. The central courtyard is adorned by a fountain while the rear side of the building has a number of chambers with corridors and pillars with minimalistic ornamentation which reaches right up to the top floor. The inner palace can hardly be called a building since it’s a small area with a narrow walkway which is meticulously scalloped. The rooms have floors made of marbles of different colors while the walls consist of many gilded panels. One can get a nice vista of the City Palace, and the Jantar Mantar from the top floors of the Hawa Mahal building. Made out of pink and red sandstone, the color and the architecture of the building conform to the décor of other palaces and buildings of Jaipur. The 953 niches with the beautifully carved, wooden windows known as Jharokas make the façade very appealing. 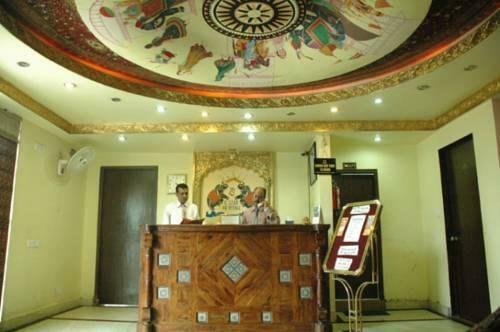 The architectural design of the building is a unique blend of Rajput and Islamic styles. The domed canopies, the lotus patterns, and the fluted columns are reminiscent of a Rajput style of architecture. While the filigree work on the stones that are very similar to the Panch Mahal of Fatehpur Sikhri , it also showcases the Mughal architectural style. The building does not have any stairs and one has to climb a gentle slope to reach the higher floors. The imperial gate at the rear side of the building leads to a large courtyard which is surrounded on three sides by two-story buildings while the Hawa Mahal lies on the eastern side. The courtyard houses a small museum which contains relics of the royal family and royal armors and miniature paintings which will make one relive the glorious past of Jaipur. The palace is a sight to behold especially in the evenings when it’s illuminated with colorful lights. Also, when the golden rays of the early morning sun falls on the beautiful facade of the building, the beauty of the palace is multiplied tenfold. The building is open for visitors everyday between 9.00 AM to 4.00 PM. 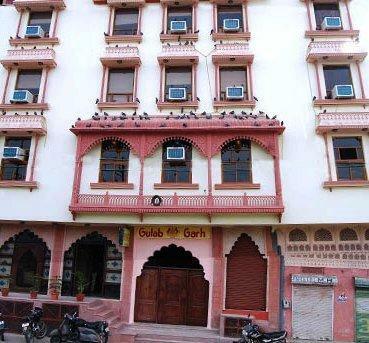 Located at the Old City, very close to the Jantar Mantar, at the intersection point of the Badi Chaupad, one can not miss out on the marvelous building at the heart of the Old City. Jaipur is well-connected to other major Indian cities by railways. The airport at Sanganer lies at a distance of just 8 miles from the city. However, international flights don’t operate from Sanganer airport these days so foreign tourists must make a stopover at the Delhi Airport. A large number of flights connect the city with all other major Indian cities. 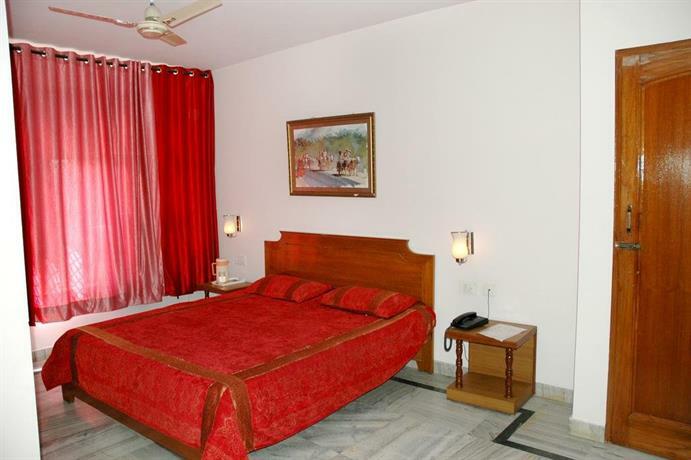 Travelers to Jaipur must visit the beautiful Amber Fort just 7 miles from the city. 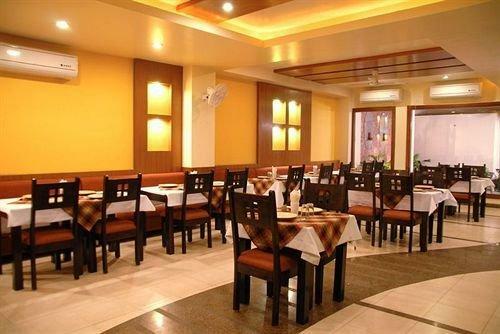 The City Palace of Jaipur and the Jantar Mantar, which are very close to Hawa Mahal, is sure to delight the visitor who come to visit the area.